Saturday for me will invariably involve rising at around 7-30am. Yes, a two hour lie in. Crazy. Then Mrs G and I will share out the weekend tasks, including dog walking, food shopping, laundry and housework. Before defragmenting and virus scanning the family laptops. ‘Fun’?... We just can’t get enough of it, let me tell you. We generally follow all of that feverish activity by cooking breakfast for our teenage daughter when she finally surfaces (circa lunchtime - needless to say) Then there’ll be even more frivolity in the afternoon, with a spot of weeding on the drive, hedge trimming, batch cooking food for the following week and finally, a spot of TV or reading with a well-deserved glass of wine. Or three. We’ve been lapsed into this routine for many months, if not years. And pardon the pun, but most of it has become a real blooming chore! So last weekend, clearly buoyed by the glorious weather, we did things a little differently. We replaced our regular Friday evening routine of sorting the dirty washing out into piles of darks and whites (I know, ‘rock n’ roll lifestyle’ doesn’t even begin to describe it) with a trip to our local beer garden. There we enjoyed a couple of delicious cold ones and had a good chat, while gazing on in disbelief as someone’s unsupervised 3-year-old was seemingly left to entertain himself by teetering up and down the pub fire escape for most of the evening! Next day, we were up bright and early as usual. But this time with a real sense of purpose and anticipation. Rather than one of hum-drum habit. 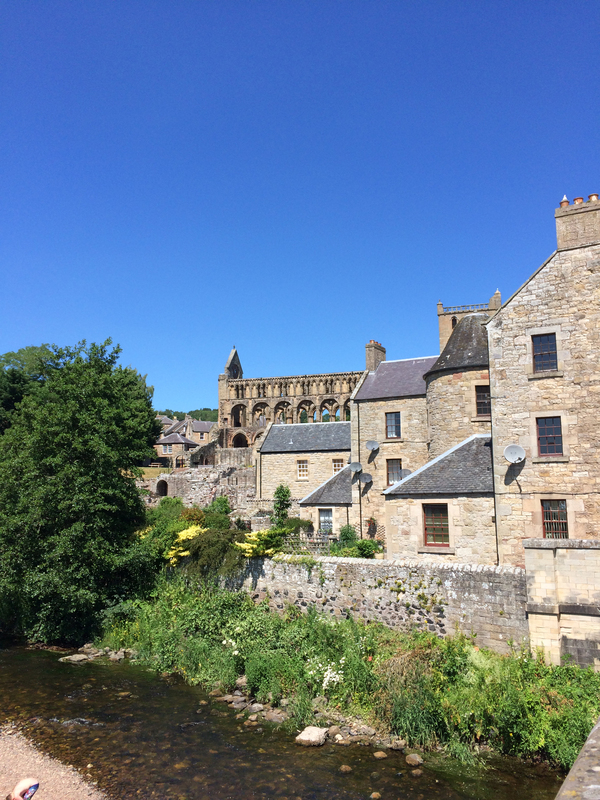 We were off to the historic Scottish abbey town of Jedburgh. Where Mrs G could tick off another picturesque destination on her list of such things and I could purchase as many ‘offal based culinary delicacies’ as possible. The great thing about living in Northumberland is that we’re under an hour away through rolling countryside and stunning scenery, from the Scottish Borders. And although my wife claimed that the winding undulating road had made her “queasy like a roller coaster”, she’d recovered sufficiently to enjoy the most delicious strawberry milkshakes either of us had ever tasted, while basking in the rays by the river upon our arrival. Having to escape the blazing sun beaming down from the cloudless sky for a while, we enjoyed a free tour in the cool of the historic old gaol. Before strolling up and down the quaint main street, which I was elated to discover was home to Learmonth’s Scottish Craft Butchers. After a thoroughly enjoyable and enlightening day, we drove home happy and relaxed. 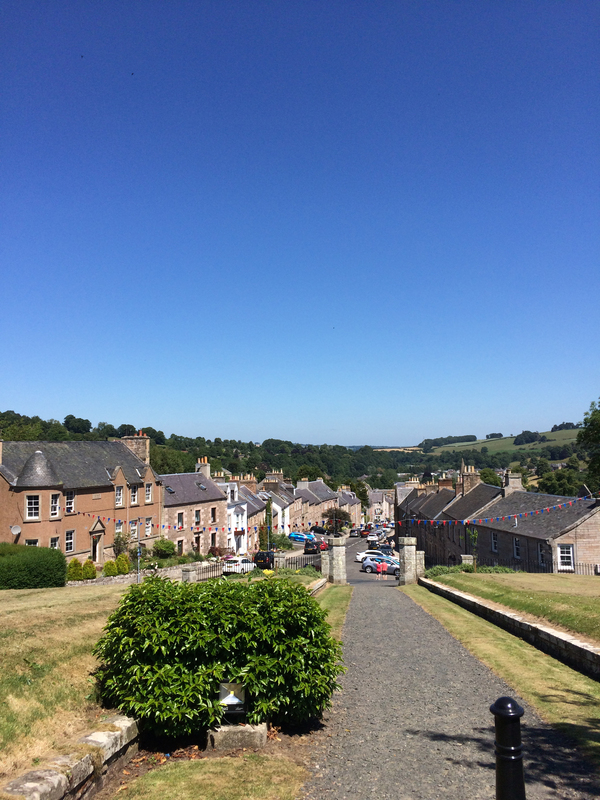 As the car groaned under the weight of mouth-watering Lorne Flat Sausage, Black Pudding and Haggis Truffles, we agreed that we would make another trip up, to the equally beautiful little town of Melrose later in the month. We were certainly spoiled with the weather of course, but the break in routine would have been just as welcome in rain or hail to be honest. And I can certainly recommend that to anyone, along with Learmonth’s scrumptious haggis!